If you want to learn HOW to find your passion and turn it into a profession...you're in the right place. Life is a gift. UnBox It. The best way is with your passion. Listen in and let’s start now with Interviews and Insights on turning your passion into a profession. Marketing Strategies Not Working...How is it that some marketing strategies work and some don't... Here's your answer before you purchase the next online program.. Listen IN. How to strengthen or dismantle a belief by seeing it through the eyes of a table metaphor.... Listen IN. How to be successful...choose the thang (or many) and keep your word.. Here's how...Listen IN. Before you can find a new job you enjoy you have to find what IT IS you enjoy THEN comes the new job. You'll find out HOW. Listen IN. When Motivation Fades, Fails and Doesn't Work..what do you do then... How do you find the "motivation" when it fails to work? Listen In. What to do When you Feel Like A Failure... How to avoid getting discouraged...when you feel like a failure... Listen IN. How to Feel confident without doubting yourself. Listen IN. The Ugly Truth about pursuing your passion .... Listen IN. How to Fast track Your Goal AND gain the willing help of others to achieve it? How to overcome loneliness and at the same time drive on the fast lane to your goal? Listen IN. Why School Fails and La Mer Succeeds: Christina Aloisio... Find out how to take a passion (like education) and create your OWN unique version of it! How? LISTEN IN. Here are Little Known Ways to Feel Motivated, Energetic and Feel Happy Right Now (for free)! LISTEN IN. To find ones gift and Unbox It - happens ONLY minus money, minus status, minus power and minus ego. Here are the examples of those who we need to pay attention to who are, in real time, Unboxing Their Gift. How to get over feeling helpless? How to get over feeling helpless? How to get over the learned helplessness? LISTEN IN. Whats the difference between an Amateur Vs a Professional working life. THIS is how to close gap from turning your passion INTO a profession...LONG TERM. LISTEN IN. TEST your idea with a signature talk formula. If you're testing an idea, product or service or launch it...here's how you can with a signature talk. The email I talk about is rita@unboxyourgift.com thank you for being, please LISTEN IN. The Problem of CHOICE The best thing about 2019 is the choice thats available versus 30 years ago... The worst thing about 2019 is the CHOICE thats available versus 30 years ago... This episode discuss the PROBLEM of CHOICE. LISTEN IN. You're definitely older than you were yesterday (who isn't) but that's an asset. Here's are real the stories of the success after 50. LISTEN IN to this podcast and NOT the thought that your age is a limit! How to know IF your (business) idea will work? How to know IF your (business) idea will work? Follow these 3 tried and true steps that I used to turn ideas into products and services in corporate.. LISTEN IN. Which Career Should You Have? Which Career Should You Have? It's one of the biggest questions I get asked...and you'll be relieved when you hear the answer. LISTEN IN. HOW do I Improve MOTIVATION? HOW do I Improve MOTIVATION? How do you FIND your recipe for success? When you haven't progressed or achieved the results you want in your career, study or business and you've listened to ALL the gurus and STILL nothing... What do you do? This episode is HOW to find your OWN recipe for success..ONE that has ALREADY worked for you....you just didn't know...LISTEN IN. What do you do if your job doesn't pay well? What do you do if your job doesn't pay well and YOU love it? You dont need to leave your job...here's what you can do instead... Listen IN. How to figure life out in your 20's. Working life out for girls in their 20's, how to surpass disappointment in YOURSELF and is 35 too old for the dream job? Maybe. Listen IN. What do I do when I want to give up, lie down and quit? What do I do when I want to give up, lie down and quit? Ever felt this? I dont know anyone who hasn't. This is a Q+A episode, This is my 0.02 cents on failure, quitting and what's more valuable. Listen IN. How do you pursue excellence? How do you pursue excellence? What does it mean to achieve excellence? It's harder than you think...LISTEN IN. How to motivate yourself... when you've put down the book, left the seminar or finished watching a motivational video on youtube... How do you keep motivated when you're on your own? There is a way, and you're IN control. Listen IN. WHY has it been HARD to find your passion? Here is a 4 minute explanation I gave when I was interviewed and asked this question. If you've ever felt guilty about not finishing school or have any hang up about school... This will help you. Listen IN. This episode is dedicated to sharing with you HOW to OWN the day, have control of your day and mind RATHER than be run by frustration and anxiety. Listen IN. What is The Right Way of Following Your Passion. There is no right way. You might be the pioneer of the your path or you might choose to model someone who you feel is successful and follow that path BUT what if the path you're following is a tragedy than a triumph for you? Listen IN. Is a Career Change Worth It? Is a Career Change Worth It? Short answer, NO. Unless you've got the stomach for these 5 key essential building blocks that make the change EASIER. Listen IN. How to Find Passion When Depressed.. How to Find Passion When Depressed...You might feel stale, stagnant or stuck - here's why and how to get out of that rut. LISTEN In. How TO Find Your Passion AND Motivation- Trust me this is NOT ra ra motivation that you lose after reading a book or attending a seminar - this IS long term motivation. Listen IN because this is REALLY a mind hack and its going to drive motivation in you LONG TERM. Enjoy. What Career Should I Choose? What Career Should I Choose? Here is how to make the choice, minus the doubt. Enjoy. Listen now. This episode is how to remedy the feeling of Can't Find Passion In Anything. If you feel like you cant find passion in anything (or have ever felt that way) its because you either felt stuck 'n' stale, scared of failing or have had something change in your life. Listen IN Now. What Career Suits my Personality? What Career Suits my Personality? Dont overthink this. This episode will help you to identify for yourself what career suits your personality. Here's how. LISTEN IN. Are Career Tests Accurate? If you've ever completed a Myers Briggs test or Disc or thinking about ANY other test that tells you WHAT to pursue then THIS episode IS A MUST FOR YOU. If you need to ask for a raise, if you need to ask for a sale, or to have a conversation you're avoiding with a colleague...this is for YOU. You need to learn HOW to get comfortable with being Uncomfortable - And I'll show you HOW with a simple experiment I did myself ..to work out triggers that make us feel anxious, nervous or weak. LISTEN IN...YOU'RE in for a treat. When you find your passion. What next? When you find your passion - how do you (now) realise your passion coming out of corporate or college or university? If preparation LOVES success, Here's WHAT you need to prepare to realise your passion, long-term. If you struggle to find your passion or you're second guessing what it is... listen to this episode to find HOW what you did as a kid (when there were no filters) can give you MAJOR insight and an AH HA into your greatest gift/ passion... LISTEN IN. What Learning Style Am I? What Learning Style Am I? What learning style are you? 🤔 The biggest step you can take towards knowing yourself is knowing HOW you learn aka crack the code on finding out your own learning style, . Whether you’re learning meditation or sales or law or calligraphy or speaking etc. it all becomes that much easier....IF you find and cater to your OWN learning style . What are the side effects to familarising yourself to your learning style? . It will shut down a lot of distractions around you, because you’ll know what lights you up versus pandering / boxing yourself within teacher, professor, guru, mentor teachings and learning styles, that don’t fit how you read/ see/ feel or hear the world around you. . Listen IN to hear how to seek out your individual learning style! Enjoy. This is a story of how your passion evolves. This is how a research scientist leveraged her skills in her profession, found a way to help her father's skin condition and realised she created a product that naturally and organically helps people. While working in a lab (day job), research Scientist Dr Natalie Alexopoulos started a baby skincare range (during her downtime) and to to have access to her own ingredients she bought an olive and prickly pear (now organic certified) farm that set the scene for creating Chiron Organic. An example of how career and passion can evolve successfully...Listen IN. Sasa was an Olympian turned Coffee Man. He immigrated to Australia, competed in handball in the Olympic Games. Retired from the sport. Found a fascination of making coffee in a bakery. Now, Sasha heads a GLOBAL distribution company...ONA coffee. In 2015 he became the WORLD Barista Champion. He's set up Project Origin which is BETTER than fair-trade! He works directly with coffee farmers - pays them premium prices for their work. He has a 100% NOT for profit book called the COFFEE MAN. All proceeds go to coffee farmers and their needs. He has a documentary made about him called the COFFEE MAN. IF YOU EVER thought your passion could NOT be turned into a profession Or you may NOT know where to start or how to continue the journey of your passion because it FEELS HARD- Listen to this interview , it will shatter (straight from a man whose done it) your doubts and hesitations in your thinking. LISTEN IN! Peter's successful design studio was acquired by Zileej (a UAE based company)..So How do you build a successful design company, have your artwork showcased all around the world... when you have competition like fiverr or Canva? How do you create change through design? And stand out for the LOVE of your work? Listen IN. After 10 years of working in multi-national companies, Johanna Peek pursued her passion and created a solution to address global poverty, by funding micro projects. We've all felt helpless when seeing poverty and inequality - but what if instead of feeling sad - there was something we could do at the grass roots level? What if you're work all day, everyday was about alleviating poverty - and not from a vague, birds eye level...but that everyday you saw the difference and benefit at an individual level? Sound too good to be true? Oh, It's very true...here's how when when you see someone in poverty or disadvantage, rather than have that sinking "helpless" feeling INSTEAD you KNOW you've created a way that can directly help that person, consistently. Listen to find out how. Lisa Vogl was an international photographer, after she converted to Islam, she realised that there wasn't modest AND fashionable clothes at reasonable prices available. Seeing a gap in the market, she co-founded Verona Collection a clothing line that doesn't just sells clothes but represents identity and empowerment. If you've EVER wanted to jump into an industry that you knew ZERO about and STILL have it be a success (because you're competing with the big wigs), then you have to listen to HOW Lisa within 3 years launched into a crowded online space and came up victorious with Verona Collection! Just ask Macy's (major dept store in the USA) - they stock the Verona Collection. YES! they stock hijabs! LISTEN IN. Greg Quicke owned a mechanic business, bought a telescope and fell in love with the stars! From this passion for the stars, he created Astro Tours, in Western Australia, a 2 hours show teaching anyone who wants to learn about the sky and the cosmos. Since starting Astro Tours in 1995 (with no formal certification of astronomy) BUT a knowing and experience with the earth that EVEN astronomy students come to learn from him, he has been featured on BBC and ABC t.v series, he's an author and simply, a great guy who fell in love with the sky and wanted to share it with others ❤️ If you've thought you need copious certifications and degrees to 'feel' enough, or approval to pursue your gift - you want to listen to how Greg Quicke turned passion into a profession and UnBoxed his gift for astronomy and how you can do the same with your own Passion! Listen IN! Rhamis Kent a former mechanical engineer set out to co-create not a profession but an industry, permaculture. He felt drawn to permaculture after watching a 5 minute movie on it, then co- created the industry and has since worked with many governments around the world with permaculture as well as teaching in countless countries around the world. If you come from a safe profession and ALL you have is passion...you want to hear HOW Rhamis co-created an industry from a passion. LISTEN IN! (p.s and what the heck is permaculture and what was in that 5 min movie that stirred such intense ambitions...) Listen in. What career is for me? Are career coaches worth the money? This episode addresses the questions of What career is for me? What career should I do or pursue? Are career coaches worth the money? I'll tell you ALL about it. Listen IN. Amanda found went after her passion as a necessity. Not ever having any dream of going into business, Amanda was completely happy as a public servant. After giving birth to her daughter, who had lung disease, doctors advised Amanda that her little girl couldn't be put in day care, and therefore Amanda needed to stay home. 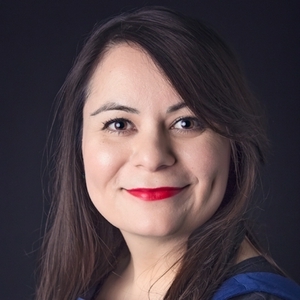 Amanda soon realized that she needed connection with other people (now that she wasn't working anymore) and out of this need for connection….soon after, HerCanberra - a leading online publication for women, was born. If you want to create a following …. this is for you. Listen IN! You’re going to want to listen to this interview if you’ve ever been trapped in the wrong profession and you knew you were capable of more... Sohail was an accountant who became a multi-millionaire living in 12 bedroom mansion, with Ferraris and Lamborghinis parked outside his mansion….until he lost everything... Sohail moved back home with his mum. Life changed when he was reading an ad in a newspaper, that prompted an idea and from there, he eventually became known as the Joint Venture (JV) expert and monetised his idea (in a BIG way) and realised the greater mission behind his work. BTW: Sohail gives a very generous resource that you'll want to check out towards the end of the interview. Listen IN! This is for you, if you’ve ever thought about creating a product and selling it online. Alexis was looking for that idea that would be a success. In her 20’s she tried her hand at different ideas but none were really successful, UNTIL one day, her husband (a professional basketball player) gave her an idea, which she now calls: Baseball Lacelets. Today, this family owned business has taken OFF, thanks to combining baseball and bracelets together……you gotta hear this! Listen IN! The next set of 4 episodes are from a Summit I delivered and I know that you'll gain insights from these interviews that you normally wouldn't have (which is why I wanted to share them with you on this podcast) Debra Lynn Dadd is “The World’s Leading Expert on Toxic-Free Products.”. In her words, "Not because somebody gave me this title, but because I really am". She is an expert on toxic free living and after chronic ill health it became her passion to create health for herself (and it didnt just become a profession) but morphed into a 40 year mission… In her words "I’m an expert. Nobody else on the planet that I know of has my degree of experience with toxic-free products". This applies to passion AND toxic FREE living. Listen IN. This is a LIVE training I delivered on HOW to find your passion with clarity and confidence at a conference. Grab a pen and notepad as you won't want to miss the opportunity to finally find that Gift that's uniquely yours. Enjoy! Listen IN. Justin was known for having attitude, especially when he went to church. So to irritate a woman who kept telling him he had attitude he created t-shirts and wore them to church that had quotes and slogans on them. The t-shirts were such a hit, people at church were asking where they could buy one….and so started the $37 million a year clothing brand called Attitude. He has since sold that brand and now and works on other projects ( that you’ll hear about in the interview) but with SO much to share, this is one of THE most amusing and crazy passion to profession stories/ interviews you’ll hear. LISTEN IN. Living in a social media world full of companions....if you feel you havent achieved or aren't where you think you should be... Here's how to SEE your everyday, ordinary activities so that you can align with the EXTRAordinary (the goals that you're after) with greater peace of mind and NOT feel rushed. LISTEN IN. How do I build my trust and confidence? If you've ever struggled with decision making this will help you build trust and confidence in yourself, immediately! Just make sure you apply this! Listen IN. How do I know if I'm in the right job/business? Listen to the insights and distinctions on how to know for yourself if you're in the right job/business? Also you have an invitation to be ONE of a select FEW to be coached for FREE (usually $4,000) for a mini documentary series so that YOU can be the reason for someone else's success. The vision is to help AS MANY people as possible find their passion and have the courage (if they wish) to turn it into a profession - and that can only happen if you find our live your passion! I'd LOVE the honour of helping YOU. Find out how. Listen IN! Usman migrated to Australia from Pakistan in 2013 and couldn't get a job. So he went about creating Catalyser, a start up incubator that helps migrants and refugees (who are skilled and very qualified in their respective fields but also may find they can't get jobs), start their own businesses. Within 2 years of starting his enterprise, he was awarded the Young Commonwealth Person of The Year, he is the Australian lead for the G20 Young Entrepreneurs' Alliance and his on a major mission! In this short space of time he's helped migrants and refugees start 15 new business. Here's how Usman turned an idea into an opportunity for some of the most disadvantaged people in our community! Listen IN. Jesse Aungles won GOLD at the Commonwealth Games in 2018 in the 200 metre individual medley (which means butterfly, backstroke, breast stroke and freestyle in the ONE competition!) And as a double amputee, he's labelled dis -abled. But so what, because achieving GOLD (or your personal best in anything as Jesse discusses) is all about focusing on ABILITY and NOT "dissing" it. LISTEN IN. Rowena ran away from home at 15. You'd think its all doom and gloom form there. Very much the opposite. Rowie has become one of Australia’s most successful business women, she has been highlighted in the BRW Young Rich List, twice, she is one of the TOP 20 richest people in Australia, under 40 – all because of her passion for fitness. You want to watch this interview if ever you felt you don't have enough certification, degrees etc. Rowie will obliterate that myth, she started at just 15 (without completing school). Listen IN. Lisa Wilber, a former secretary built a multi-million dollar business (and said good-bye to 9-5). Lisa used rock bottom as a stepping stone to find her mission and monetise someone else’s idea/passion… and made it her own passion. Awarded TOP female Network Marketer In the World! She is currently the # 5 money earner in the United States with Avon. In addition to this, she's created her very own line of products. How? Listen IN. Tasha Jennings was trying to fall pregnant and was very surprised when she couldn't. This set her on a. journey to research HOW to conceive and by doing so stumbled on the idea of creating a supplement. If you've ever wanted to know HOW to take your idea and bottle it (literally), listen to how Tasha took her passion to fall pregnant and birthed her first baby, Zycia - the prenatal supplement . Listen In. How a love of sewing allowed Vanessa Wilson to retire her husband in his 30's! Mark Cronin just wanted to help his son, John (who has Down syndrome) do something after finishing high school (because the reality is, 80% of disabled people in America are unemployed). John has ALWAYS loved socks and so together they started John's Crazy Socks John's Crazy Socks, an online retail store that generated $1.7 million in their FIRST year ( and they only started in Dec. 2016) This is a in-depth interview that shares HOW even the simplest, tried and true ideas (like socks) can work. You're going to LOVE this father and son team whose mission is to spread happiness with socks. If you've ever felt your idea has already been taken - this interview is proof the world still needs YOUR version, YOUR flavour of the same idea. Listen IN. You DON'T have to be the author of Harry Potter to turn your passion for writing into a full time paid profession. Kellie Byrnes shares how she monetises her craft of writing, how she published her first children's book, when you should self publish and when to recruit a publisher and shares the life of a full time writer so you can see how to turn it into a profession for yourself. Listen IN. Tim Conolan created the charity TLC for kids (Tender Loving Care) back in 1998 and it's still going strong. What does it take to start and grow a charity, you'll definitely want to listen to Tim. Tim takes us behind the scenes of HOW he started this charity, what its taken to weather the challenges and HOW this charity impacts 2000 kids, daily...yes daily! This is how a former Dj and motivational speaker, found his passion to help kids and their families and turned it into a profession, helping hospitals Australia wide! Remarkable! Listen IN. We vote for a prime minister or president every 3 or 4 years, however we vote every single day with our wallet. Real, raw, grass roots level change, the type that actually has the PM or pres. do what's needed is triggered by how and where we spend our money. Dr Ellis Jones has created The Better World Shopper: An incredible guide that tells you WHERE you're money is going (when you make a purchase) and what you've actually voted for with that transaction. FASCINATING stuff. Listen IN! After 2 years of raising twins Erin knew it was time to do something for her AND not compromise on being a hands on mum... This is an example of what a start up side hustle for busy mum looks like...from funding marketing to learning the world of "business owner". Listen IN. Lori Cheek a former architect took her idea to Shark Tank, USA but got knocked back. She re-evaluated her idea and turned it into an app and launched. This is the story of how to come out of the shark tank with fire still in your belly, after being knocked down, publicly. Listen IN. How do you turn a hobby into a profession? Cathy found herself and her team receiving an encouraging call from the late Nelson Mandela in preparation for their expedition to Mt Everest (no pressure). But what's REMARKABLE is Cathy to took this achievement and turned it into a profession. That's what Cathy says was the real breakthrough of her Mt Everest experience. Taking her hobby, her passion and monetising it so she has never had to work an office job for the past 20 years, since her adventures (and how you can too if you wanted to)...Listen IN. This is an interview with lawyer Rachel Brittliff and how she wanted her daughter's interest in science to be nurtured. TOTALLY different to law, but she started a side hustle (science kits) with her little girl. If you have dreams AND at the same time you want to nurture your children's dreams as well. Here's and example of HOW to do so. Listen IN. Liz Volpe had a yearning to help Cambodians become self-sufficient entrepreneurs. She took what she knew, gathered other business thinkers and together took on the responsibility to run "dare to dream" entrepreneurial workshops so that kids in Cambodia could learn to create their own influence, impact and income, BUT first, facing the fear of...daring to dream. Listen IN. Have you ever wanted to help a cause? While (donations are wonderful), Kenton Lee wanted to do something long lasting to help the orphanage he was volunteering in Kenya. SO after 6 long years he created the Shoe That Grows. A shoe that grows as the feet grow to help specially children who outgrew their or didnt have any at the orphanage (I know, incredible!) and it's durable, long lasting but that's just the beginning. This episode is going to leave you gasping and planting seeds for you and I to imagine, believe and think of the impossible MORE importantly have the audacity (like Kenton Lee) to then create it, Kenton shares how. Listen IN. How do you go from School teacher to Inventor? If you've ever wanted to create something, invent something and support a cause...Laura Furiosi is dynamite! Her work is reducing rates of skin cancer by having created a swimwear that helps to do just that. If you've ever wanted to know HOW to stake an idea (In Laura's case to help her baby girl) a passion from a mere idea to major distribution (profession)... You're IN the right place. 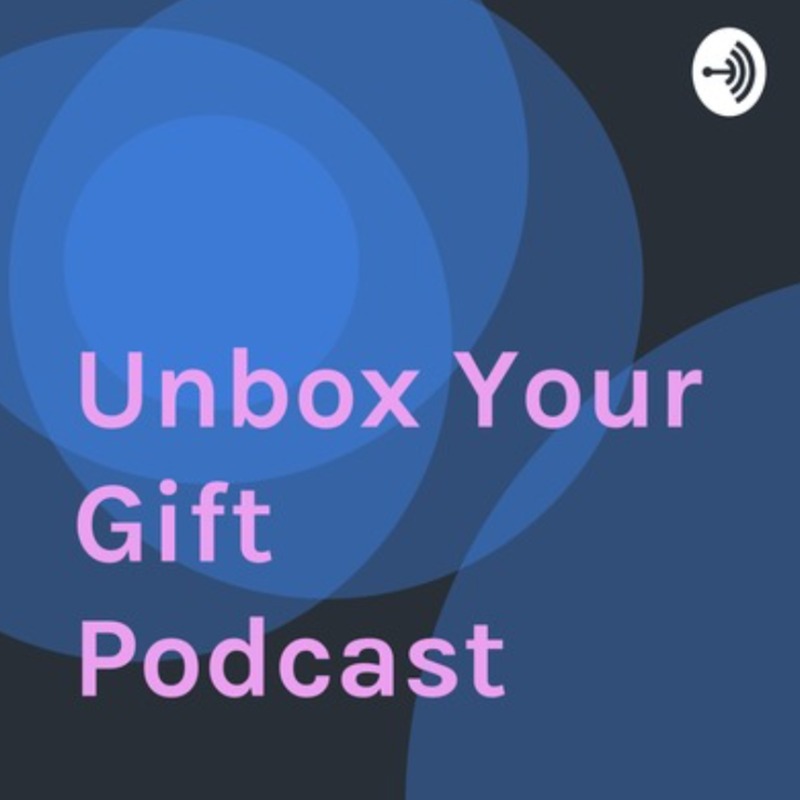 From design to patents to manufacturing to marketing to distribution - Laura is a legend because she's very real and raw about the journey of how this is done and how YOU can take a passion and turn it into a profession a.k.a Unbox Your Gift. Listen IN Now. You can't hold down a job? What happens when you can't hold a job down because you have MAJOR health challenges since birth? Patricia Scheetz is a double organ transplant recipient and her story is the definition of taking a passion and turning it into a profession to fit into a desired lifestyle. She went on a reality tv program to test her passion (that's courage), and even though she's had very scary challenges, she could easily (and be justified) to curl up into a ball and isolate herself... BUT instead she's truly defied numerous odds (death and doctors), found HER meaning , mixed it with an attitude that resembles sunshine and took the time to teach us about The Sweetest Gift. Listen In. Robyn O'connell is a woman who for 16 years has been working in her dream job and it just happens to be working with the deceased. It's a very interesting interview and proof that our passion, our gift and our value is not one size fits all, but a yearning to add meaning to our everyday. Listen in. After being on life support, Christina Mathewson decided she had a mission that she needed to pursue, in addition to homeschooling her 7 children! How do you find time to nurture 7 souls in finding their "place" and still have time to find your own? If you thought you're busy this interview will have you review your story of being too "busy" to unbox your gift. Listen in. A former teacher has made it her business to help other teachers' health and well-being. Ellen Ronalds Keene's passion is an example of how the traditional teacher role didnt fit her lifestyle and as such moulded her passion for education to suit her lifestyle. A practical example of Unboxing Your Gift. Retired UK Detective and private investigator, Shelagh Brennand's life took a turn when she suffered a sudden stroke at age 49. How do you find meaning, purpose and overcome the depression that stroke brings...you're going to LOVE Shelagh's candid conversation about how she found a passion, how she found meaning and the courage to contribute after stroke. Shelagh is the author of A Stroke of Poetry. The website that gives assistance to stroke patients is https://enableme.org.au and https://strokefoundation.org.au Listen in. Side effects: you may find your own stroke of insight. Are you Kidding A Gap year In Your Forties? How do you find your passion without being distracted by all the noise and what you feel you "have to do". This first episode will show you how. Please send through any questions you have. Your passion is a unique journey, even though (as in today's example) it starts off as a nightmare.